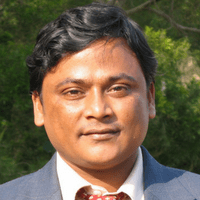 Dr. Hossain is Chief Engineer at Bangladesh Atomic Energy Commission (BAEC). Hossain’s career spans here more than 18 years. Currently, he works as the head of training division and actively involves in the R&D activities. His experience includes nuclear knowledge management, nuclear cyber security, computer security at nuclear facilities, training, IT and nuclear emergency preparedness, human factors in organizational nuclear innovations assimilation. He provides input to developing cyber design basis threat at BAEC as the member of technical expert group. He received his PhD in Innovation Technology & Management, MS in Electrical & IT Engineering from Korea Advanced Institute of Science and Technology (KAIST), Republic of Korea, and BS in Electrical & Electronic Engineering from Chittagong University of Engineering & Technology (CUET), Bangladesh. His articles have appeared in several international journals such as Decision Support Systems, Electronic Commerce Research and Applications, International Journal of Electronic Commerce, Asia Pacific Journal of Information Systems, Information Development, and Scientometrics. His research also has published in several international conference proceedings including IAEA and Americas Conference on Information Systems.